Some 9 million young Europeans were helped by an EU scheme aimed at getting them into work or into a traineeship since its launch three years ago, the European Commission said on Tuesday (4 October). 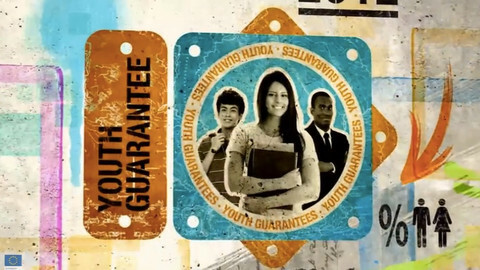 Since January 2014, 14 million young people registered in a national "youth guarantee" programmes, the EU executive said in a first progress report. Under the programme, member states should come up with measures to give young people aged under 25 years a "good-quality" job offer, continued education, an apprenticeship, or a traineeship within four months of leaving school or becoming unemployed. The scheme is supported by the Youth Employment Initiative, launched in 2013, to support areas that suffer from high youth unemployment. It initially had €6.4 billion of resources for 2014-2018. The commission now wants to boost the funding with an additional €1 billion from the EU budget, and another €1 billion from the European Social Fund. The EU executive hopes this would help an additional 1 million young Europeans on top of the 9 million by 2020. "We can't have a whole generation left behind, we have to do everything to give them a chance," employment commissioner Marianne Thyssen told journalists on Tuesday in Strasbourg. She added that the commission cannot do this on its own. The impact of the programme is difficult to measure, as data provided by the commission itself shows. It said that 40 percent of young people were in an ”unknown situation", with no data on whether they had entered the job market after participating in the scheme. This is part of the reason why EU auditors criticised the programme last year , arguing it is not clear how many jobs were created and at what cost. On Tuesday, ETUC, the European trade union confederation, while welcoming the additional funds proposed, also criticised the programme on that point. "The commissioner talks up the slight decrease in youth unemployment, but the harsh reality is that long-term youth unemployment is on the rise. Emigration, traineeships leading nowhere and temporary contracts create youth unemployment figures that mask the true scale of the problem," it said in a statement. 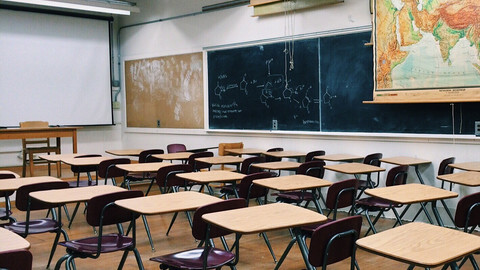 According to data from member states collected by the commission, 35.5 percent of young people who participated in the scheme and left it in 2015 had entered employment or returned to education six months later. Figures vary among member states because of the difference of quality of jobs on offer or the effectiveness of the local employment services. The commission said 71.4 percent of people who took part in the programme in Ireland got some sort of a job or went into education, 64.1 percent in Italy, but only 37.7 percent in Spain, where youth unemployment is high, or in Hungary, where the "success rate" is 30.4 percent. Thyssen said more efforts need to be made to reach out to those who are not registered with public employment services, are low skilled, or who have dropped out of school. She added that the quality of services in member states could also be improved, but that while structural change in the employment services has begun, it will take a long time to bear fruit. Youth unemployment has become an acute problem since the euro-crisis, especially in countries that struggled through the events. 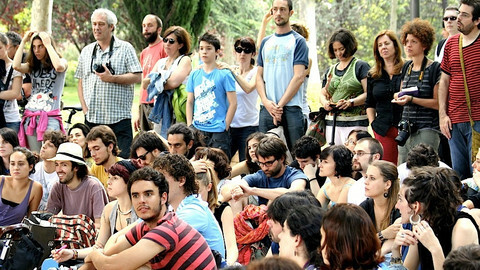 There were 46.2 percent of young Spaniards out of work in 2015, 49 percent young Greeks, and 39.9 percent Italians. 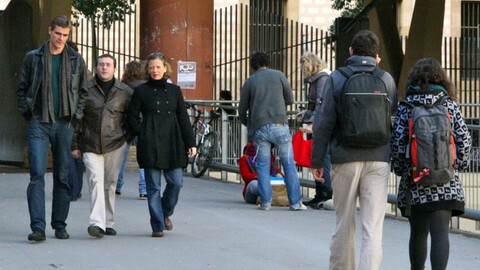 "The economic crisis … severely hit the young," the Eurostat, the bloc's statistical office said in its analysis. Facing disillusioned voters across Europe, commission president Jean-Claude Juncker said in his state of the union speech in September that he would not accept that Europe remains the continent of youth unemployment. "I cannot and will not accept that the millennials, Generation Y, might be the first generation in 70 years to be poorer than their parents," Juncker said. The commission said that there are 1.4 million fewer young unemployed in Europe than three years ago, and that youth unemployment has declined from its peak of 24.4 percent in the beginning of 2013 with 19.3 million young people out of work to 18.9 percent in 2016. 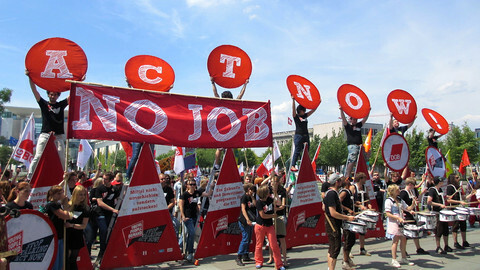 The commission claimed that the EU scheme helped ease the unemployment rate. The youth guarantee plan needs to be more specific about money and targets, says the EU's Court of Auditors.